Dragon Quest X in a Wii U Version! Are you ready for Dragon Quest X in the Wii U platform? Gte ready for it can be played the soonest before you may know it! However, players do not have to go through adjustment period since it’s design is not that changed well at all. Alongside Wii edition, Dragon Quest X will soonest be seen with Wii U version, this is actually the given title for the long-running Japenese RPG series. The Square Enix, the game developer, confirmed in the press conference that the visuals for this Nintendo’s upcoming console will be more updated compare to its only Wii equivalent, says Andriasang. 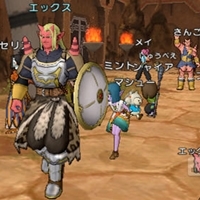 Likewise, it was disclosed that Dragon Quest X will be an online RPG which will be together played by players. The respective versions will be compatible with both Wii and Wii U players that are playing in a cross platform. Moreover, the players can also transfer the characters they have, yet only the main characters to Wii or Wii U console, for this game has some features that does connect with Nintendo 3DS too. Dragon Quest X is actually the first for the series of sequences developed by Square Enix since the game is made internally for the first time as well rather than acquiring it from other external studios. However, players are still to wait until sometime in 2012 for its release. Yuji Horii, the game creator, explained that the design of the series has not changed much since the SNES days, that is why it remains at the top of the Japanese games chart. So prepare now for a Wii U version.